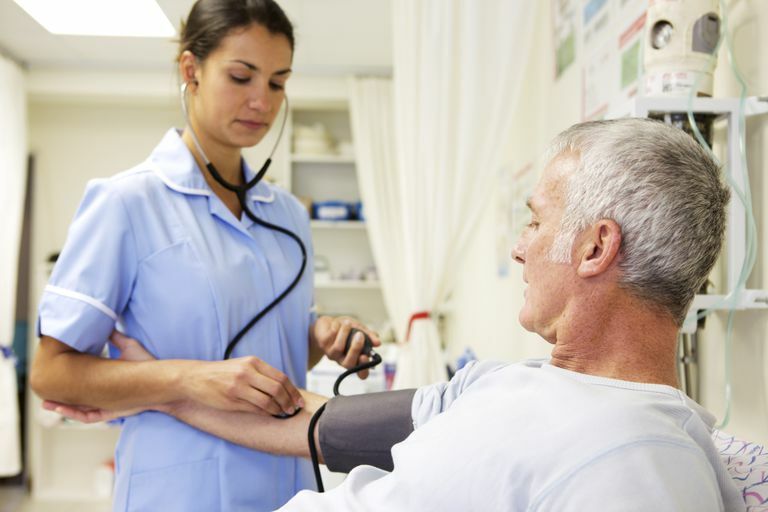 High blood pressure, also called hypertension, is a widely recognized risk factor for stroke. So it may surprise some people to see once someone has had a stroke, doctors may stop blood pressure medications and allow the pressure to seemingly soar. Why is that? Ischemic stroke is caused by a blockage in a blood vessel, so that blood cannot get through. Without blood to deliver oxygen and remove toxic by-products, about 1.9 million cells of brain tissue die each minute. Blood may partially still reach an area of the brain through other blood vessels, like cars taking an alternative route when the main road is blocked. Sometimes a blocked vessel partially reopens. In either case, the goal is to encourage blood to flow through a tighter space. One way to do this is to increase blood pressure to push the blood through those narrower blood vessels. Dropping the blood pressure could theoretically worsen the stroke. Some research trials have strongly suggested this effect. The strategy of “permissive hypertension” involves stopping someone’s blood pressure medication for a set period of time after stroke — usually no more than 24 to 48 hours. During that time, systolic blood pressure (the top number) may rise as high as 220, or 185 if the clot-busting drug tissue plasminogen activator (tPA) has been given. Eventually, of course, the blood pressure should be returned to normally acceptable levels. Just how blood pressure should be returned to normal after stroke has been the subject of controversy, though. In the CATIS trial, over 2000 patients were randomized either to lower blood pressure by 10 to 25 percent within the first 24 hours after stroke and then reduced to below 140/90 within 7 days. In contrast, most people would aim for normal blood pressures over the next few weeks after a stroke. After 40 days, the CATIS researchers evaluated levels of death and disability and found no difference between the two strategies. While the authors mentioned that acutely reducing pressure didn’t help patients, it's perhaps more notable that patients weren’t harmed, either. In CATIS, patients with small “lacunar” strokes seemed to benefit somewhat from tighter blood pressure control. These small strokes, which often occur deep in the brain where they can do a disproportionately large amount of damage, are especially associated with hypertension. The​ SPS3 trial looked at thousands of such patients with recent lacunar strokes on their MRI scans, comparing tight blood pressure control to more permissive approaches. While the results of this study were not quite significant, there was a trend towards tighter control seeming to reduce all strokes overall — although, this may have been due to the fact that there were fewer intracranial hemorrhages in the tightly controlled blood pressure group. What do these findings suggest? Maybe your blood pressure control a few days to weeks after stroke depends on the stroke type. For elderly patients after lacunar stroke, for example, the goal should likely be less than 130 mmHg systolic. Immediately after stroke, however, the best approach is still likely to keep the blood pressure high. White CL, Pergola PE, Szychowski JM, Talbert R, Cervantes-Arriaga A, et al. ; SPS3 Investigators. Blood pressure after recent stroke: baseline findings from the secondary prevention of small subcortical strokes trial. Am J Hypertens. 2013 Sep;26(9):1114-22.